A rear-end collision in Harwich, Massachusetts sent four people to the hospital with injuries on Wednesday afternoon. The crash occurred on Queen Anne Road at Popple Road. This particular stretch is a construction zone that has been narrowed to one lane due to the ongoing work in the area. Police report that around 3:00 pm a Honda Civic was slowed or stopped on Queen Anne due to construction delays. A Toyota Corolla approached the Civic from behind and failed to reduce its speed in time to avoid a rear-end collision. The force of the collision resulted in injuries to four people in the Civic. The injured were taken to Cape Cod hospital by ambulance to be treated. Their injuries, although serious, do not appear to be life-threatening. Harwich police officers are handling the accident investigation. Firefighters from the Brewster and Chatham Fire Departments also assisted with investigation on scene. There is no word on whether charges will be handed down as a result of the crash. A rear-end collision, or a fender bender, is probably the most common type of crash. When many people think of car accidents, the fender bender is the first thing that comes to mind. Usually, a fender bender is a minor accident that involves just property damage and everyone is able to walk away without injuries. However, in some cases fender benders can result in injuries. At high speeds, a rear-end collision can be very serious and even deadly in extreme incidents. When you are hit from behind, your car will jerk forward and your body will violently move back and forth. Whiplash injuries are extremely common occurrences in a rear-end collision. Closed head injuries can occur if you strike your head on the streering wheel. Seatbelt and air bag burns also result from these types of crashes. 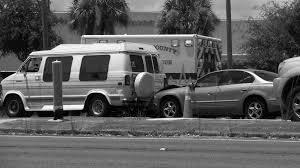 Injuries from rear-end collision can be painful and long lasting. It can take months to heal from a whiplash type injury and even longer to heal from a closed head injury such as a concussion. When you suffer injuries in a rear-end collision, you need a good personal injury attorney to help you through your claim.